Auger bits are now available from Gerrymet. The sizes shown below are available from stock (subject to availability). Other sizes, plus the 4 wing type, can be ordered. Please contact us if your requirement is not shown here. 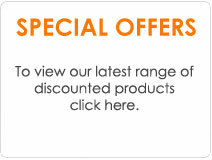 Add the items you require to the basket and the discount will be calculated automatically. If you have any queries, or would like further information, please contact the Gerrymet sales team on 01543 378805.